Design professionals, firms of all sizes, and building owners are seeing real returns by using advanced computer software tools. Recognize the growing trend among architectural firms to use building information modeling (BIM) as their primary design and documentation tool. Identify some of the national standards that have been independently developed to help optimize the use of BIM, regardless of any particular software. Assess the multiple ways that BIM can make positive impacts on a firm while contributing to better designed buildings for owners. Investigate specific examples of firms that have been successfully using BIM as part of their overall design and management strategy. Building information modeling (BIM) has evolved over the last 20 years from its beginnings as a logical extension of computer-aided drafting and design. Originally, many architects, engineers, and other design professionals saw it as a computer-generated three-dimensional model of a building or facility. In fact, it is much more, as defined by the buildingSMART alliance of the National Institute of Building Sciences (NIBS): “BIM is a digital representation of physical and functional characteristics of a facility.” This refers to the ability of a model to contain not only shapes, but discrete objects with full specification data related to those objects. In that light, NIBS goes on to say “As such, it [BIM] serves as a shared knowledge resource for information about a facility, forming a reliable basis for decisions during its life cycle from inception onward.” This aspect of BIM refers to it as a tool for collaboration between everyone involved in a building or facility including design professionals, construction teams, product suppliers, building owners, facilities management staff, and anyone else that has a role to play in the total life of the building. Building information modeling (BIM) is being used by a rapidly increasing number of architectural firms around the world to create better designs, improve design workflows, facilitate construction, and provide building owners with better facility management capabilities, such as the Scott Sports Headquarters shown here. Recognizing the far-reaching capabilities and potential benefits to everyone involved, the architecture, engineering, and construction (AEC) sector is quickly transitioning toward full implementation of BIM. What that means is that it is no longer a future trend; rather it has reached the tipping point of being a common, current practice. Private firms, institutional departments, government agencies, construction and development companies are all actively reaping the benefits of modern BIM workflows in terms of time savings, increased efficiency, higher quality of design, more streamlined collaboration, and better communication. While there is some investment in training and technology necessary to achieve success with BIM, advances in holistic design software and affordable training options have produced a very favorable return on investment (ROI) for almost everyone involved, regardless of firm size, project type, or organization. This article will look more closely at how the current state of BIM is producing these very favorable results. The architectural profession is diverse with architects and emerging professionals practicing in a variety of settings; some in traditional firms and some in other settings such as government, construction, development, and private institutions. Each practitioner, however, seeks to provide the best and most appropriate level of professional services needed for their particular circumstances and in response to the building owner’s needs and desires. In that vein, it would seem that architects would be at the forefront of implementing BIM, but in reality, we are just now catching up with the rest of the AEC world. One of the leaders in BIM adoption is a group known as the Construction Users Roundtable (CURT) which is made up of major building owners and construction companies across the United States and around the world. Motivated by a keen interest in improving quality and cost-effectiveness in construction and maintenance projects, they have been advocating for the broad implementation of BIM and collaborative work processes since the year 2000. In fact, some of their construction company members have been taking architect’s printed drawings and using those as the basis to create their own building information model, which they use as the basis for construction, purchasing, scheduling, and pricing. These realities are driving more architects and other design professionals to make the full transition to BIM. Large Firms: Defined as a firm of 50 or more employees, large firms lead the way in BIM usage, with an impressive 96 percent of them fully engaged in BIM—more than double the percentage of only 43 percent in 2005. 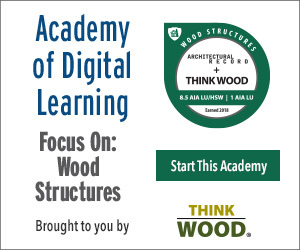 It is worth noting that large firms account for the majority of licensed architects in the United States, meaning that a majority of architects are likely exposed to BIM on a regular basis. Mid-Sized Firms: Defined as 10 to 49 employees, mid-sized firms too are using BIM, with 72 percent of these firms reporting the use of BIM for billable projects. This percentage is up dramatically from only 10 percent in 2005. Small Firms: Firms of less than 10 employees are discovering that BIM makes sense for them as well, with 28 percent indicating they use BIM for project work, up notably from only 7 percent in 2005. This graph summarizes how the overall share of firms using BIM for billable projects has grown significantly in the 10 years between 2005 and 2015. BIM is used for design visualization by 92 percent of the firm respondents. Coordination of construction documents is done in BIM by 82 percent of the firms. Presentations and renderings are created from BIM by 81 percent of the firms. 66 percent of the firms share their models with consultants for collaborative work, while 55 percent share their models with the client or owner. 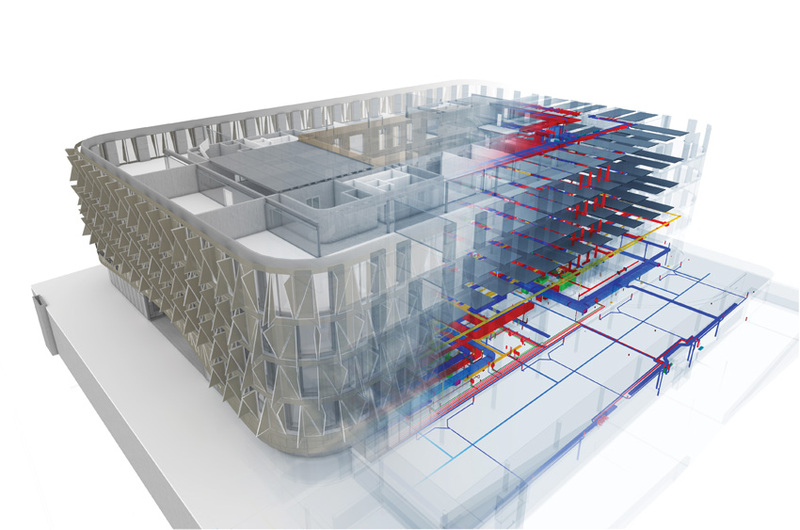 55 percent of firms rely on BIM for clash detection of different building systems such as HVAC and structural space conflicts. Among the largest firms, more than half of them use BIM for very practical purposes such as quantity takeoffs, cost estimating, and energy performance analysis. In addition to the AIA Firm Survey, a 2017 SmartMarket Report by Dodge Data & Analytics looked at the business value of BIM for firms involved in infrastructure work.2 This publication indicates that “BIM implementation for transportation infrastructure projects has seen a big surge in the last two years, and growth is expected to continue.” In the United States, they have seen BIM jump from 27 percent usage in 2015 among engineering and construction firms to 55 percent in 2017 and a projected 68 percent in 2018. They also found very similar results in the United Kingdom, France, and Germany. Similar to the AIA Survey, the SmartMarket Report looked at the benefits that were being realized by firms to prompt this growth in use. Some of the reported business-related benefits include that BIM: 1) improves the ability to show younger staff how projects go together; 2) establishes a consistent and repeatable project delivery process; and 3) allows a firm’s staff to spend more time designing and less time on documentation. The survey also cites the ability of BIM to help their company find more projects, including the ability to offer more services and to maintain business relationships with past clients. From a more practical standpoint of doing work, 34 percent of the reporting firms using BIM indicate that they are finding fewer errors, and 22 percent cite greater cost predictability compared to non-BIM methods of working. In addition, better understanding of projects, improved time schedules, and optimized design are all reported. With these benefits being realized, it is not surprising that the SmartMarket report indicates that “nearly two thirds (65 percent) perceive that they get a positive ROI from their investment in BIM. Even more impressive, over one quarter (26 percent) believe that ROI is 25 percent [as a rate of return].” This type of return means that any investment made in terms of computer hardware and software, personnel, and training is paying for itself fairly quickly. These findings also indicate that BIM is having a dramatic, positive impact on this part of the design and construction market. All of this information points to the reality that architects and others are finding that they can provide better quality in their work, expand their service offerings, improve their work efficiency, and charge fair and reasonable fees in the process. This is good for business but, just as importantly, it is consistent with the “Standards of Excellence” portion of the AIA Code of Ethics which sets up the code for professional conduct saying “Members should continually seek to raise the standards of aesthetic excellence, architectural education, research, training, and practice.” Hence, BIM can reinforce multiple aspects of our profession at the same time.